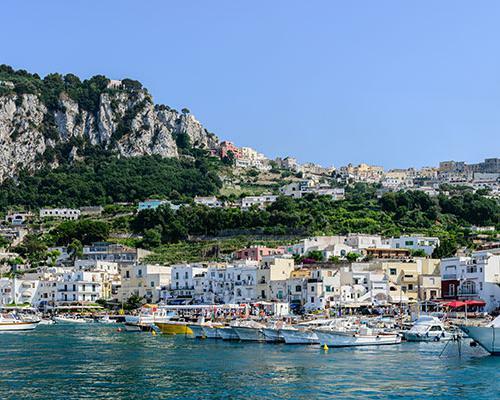 A boat tour off the Faraglioni rocks. A private trip excursion around the Lighthouse of Punta Carena. A guided walking tour through the alleyways near the famous Piazzetta and the Augustus Gardens. 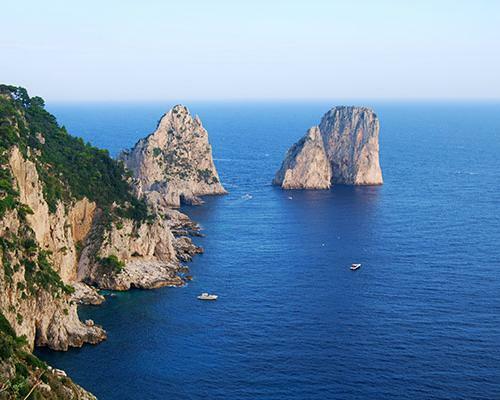 Because Capri is an unmissable holiday in the Gulf of Naples. An unforgettable moment made of a mixure of history and leisure. Ideal for a cultural stay during the day, that turns into fun for the fantastic night life: memorable clubs, cocktails at sunset, dinner by the sea and other relaxing time. 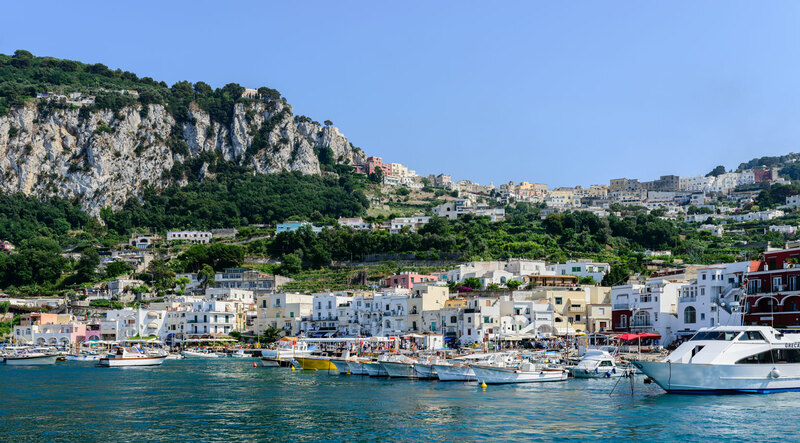 In Capri you can taste la "dolce vita"
The most exclusive boat excursion in the Gulf of Naples, an unforgettable holiday on an island where it’s possible to admire nature and worldliness. 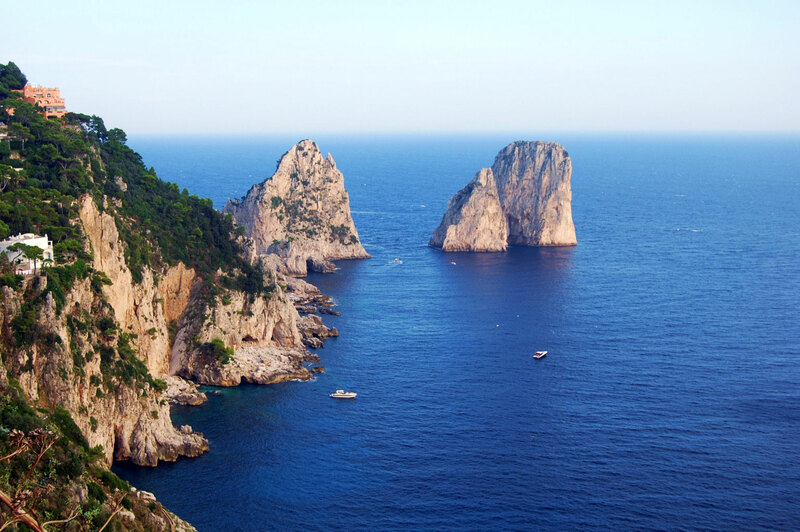 For centuries Capri has enchanted tourists from all over the world with the beauty of its crystalline sea, the splendor of a pristine landscape, its cliff and the variety of caves that you can only explore thanks to a private boat. 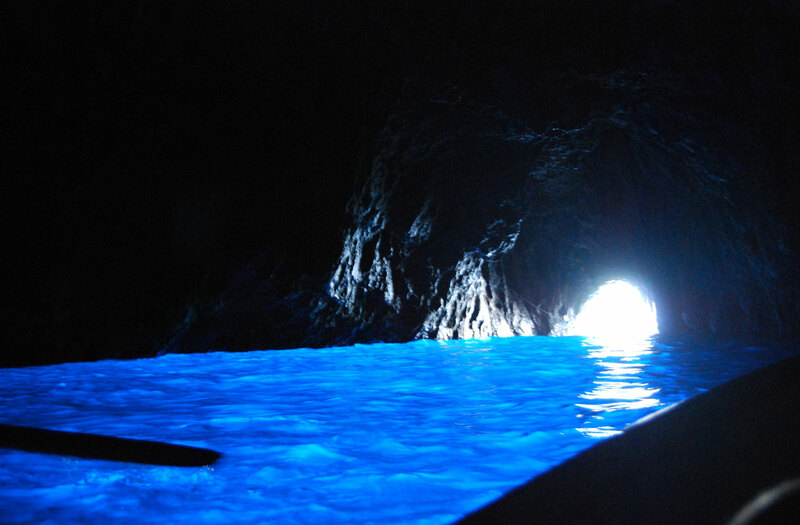 Once you get off the blue pearl of the Mediterranean, our captain will lead you to discover the most fascinating places of this land, such as the Marina Grande, the Blue Grotto, the Natural Arch, the Faraglioni, Marina Piccola, the Punta di Punta Carena, the Green Cave and much more. To visit whole area, the tour also includes a stop on the island. 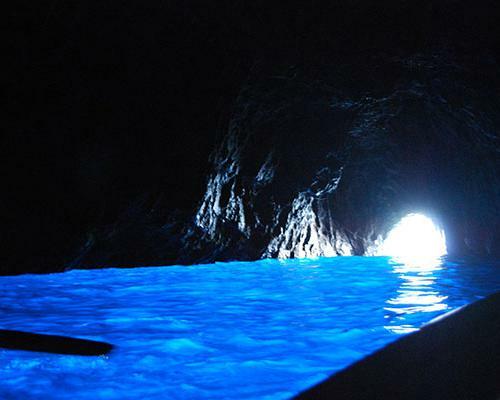 In addition, during the boat tour, there are several stops between the natural coves for swimming, snorkeling and to fully enjoy moments of absolute relaxation and fun.